In this research, based on the assessment of previous models for the evaluation of national power, a new model is presented to measure national power; it is much better than previous models. Paying attention to all the aspects of national power (economical, social, cultural, political, military, astro-space, territorial, scientific and technological and transnational), paying attention to the usage of 87 factors, stressing the usage of new and strategically compatible variables to the current time are some of the benefits of this model. Also using the Delphi method and referring to the opinions of experts about determining the role and importance of variables affecting national power, the option of drawing out the global power structure are some the other advantages that this model has compared to previous ones. Mohammad Reza Hafeznia, Seyed Hadi Zarghani, Zahra Ahmadipor and Abdelreza Roknoddin Eftekhari, 2008. Presentation a New Model to Measure National Power of the Countries. Journal of Applied Sciences, 8: 230-240. Calculating and measuring national power and designing a model with which we can compare States in a certain time and or the situation of one country in two different times has always been one of the challenges facing scientists in political geography, geo-politics, international relations and political science. In this respect, to measure the power of countries in all stages after war many efforts have been made especially in the 60`s and 70`s (Tellis et al., 2000) pecialists and experts of different fields have attempted to invent methods with single variable and or multi variables to determine the countries` situation in the global system and also to compare them with each other. All of them have ranked and compared the countries from a multi or limited variable perspective but it has never reflected the countries complete and extensive power (Hafeznia, 2006). Power is a term which is integrated with qualitative variables and indexes and measuring of them are difficult. Because national power and ITS indexes are in different areas, so accessing a counterbalanced quantitative pattern and determining their quantitative co-efficient is hard (Hafeznia, 2006). Despite this, many efforts are made to measure the national power of countries in the form of single or multi variable pattern. Single variable approaches to measure national power: In the evaluation of national power some scientists, after assessing the effect of different indexes have emphasized on one index for measuring national power and have measured other countries based on that. military expenditures, the size of armed forces and gross national product are frequently used as indicators of national power in empirical studies (Jeffrey, 1976). In general one variable approaches to evaluating national power can be divided into two groups: The first group is specialists who recognize military indexes as symbols of power. Experts like Inis Claude and Karl Devteh who emphasized on military forces; Norman Alcock on military costs and George Modelski and William Thompson on measuring the navy as an important index to measure national power (Tellis et al., 2000). The second group is experts who state that economical factors are more important and have recognized them as standards on which national power can be measured. Among these experts we can name Kingsley Davis, the demographer, specialized in political sciences that recognized national income as the most important factor in determining power (Gregory et al., 2004). Also Joshua Goldstein who recognized Gross National Production (GNP) as the most important single variable factor in national power (Goldstein, 1999). Table 1 shows different specialists and the type of indexes used by them. The most important criticism that can be accepted about single variable approaches are that these types of single variables have a limited outlook towards national power and cannot express the real national power of states and their real situation in the global geo-political system. In other words, national power has different economical, political, military, social, territorial and Y; therefore any index or model which only measures one certain aspect for example the military aspect or military power or has even measured them from one aspect is not realistic and can`t be a suitable standard to measure national power. For example, even if oil income has increased the gross national production in countries like Saudi Arabia, Iran and Venezuela, there is no relationship between this index and other indexes of national power. Based on this we cannot measure the national power of countries by only evaluating this variable (Kadera, 2004). Multi variable approaches to measure national power: One of the other methods of measuring national power is by using multi variables and integrating them and designing a multi variable model. Designing integrated models (multi variable) by specialists is done in two different types: mathematical models and conceptual ones. In integrated mathematical models, first of all the variables are chosen and then by designing a mathematical formula the type of relationship for the variable integration is determined. Finally, based on this mathematical model the national power of countries is measured. For example, we can observe models planned by Clifford German (Richard, 1975) and Fucks (Prescott, 1972). In the second type meaning conceptual models, a few variables are chosen by the designer as the most factors affecting national power and then the countries` power are placed in that group of variables based on their scores and therefore measured. In this method a certain mathematical formula, that shows the type of integration and relation is not presented. Among these models, which we can point out, are the models of Weyne Ferris (1972), Tellis et al. (2000), Richard (1975) and Saul (1994). Table 2 shows the most important conceptual integrated models. Based on the findings obtained by evaluating previous national power measurement models, in this research, a new model is presented and efforts have been done for it not to have the faults above. Because the main purpose of this study is planning an integrated model for measurement of national power and this topic is the main subject of this study. Also the model tested and the states ranked according to the data of the year 2004-2005. The stages of model presentation are presented in the form of research methodology. Research methodology and stages of model presentation: The details of the research methodology are explained in the 13 stages. Explaining and criticizing theoretical foundations and statements related to power factors and variables: In this stage, theoretical topics like power definitions, national power, foundations and power sources and models to measure power were criticized and evaluated. The information in this stage was obtained from the library study methods and usage of books, magazines, quarterly periodicals and the internet. Choosing a theoretical model as the main foundation for the model design: In this stage, 28 theoretical models, which were about foundations and sources of national power and were presented by national and international specialists, considered and evaluated (Fig. 1). Then the theoretical model, presented by Hafeznia, which was based on a number and variety of variables, paying attention to different aspects of national power,emphasis on negative and positive role of variables, emphasis on new aspects of power was selected as the foundation of designing a model for measurement of national power. Hafeznia in his theoretical model emphasizes on nine factors as the main sources of national power of the states (Fig. 2) as under. Based on this from 280 variables 130 variables were omitted. The 150 remaining variables were categorized in the form of theoretical model (nine factors). Economical, political, military, social, cultural and so. Evaluating and determining the importance (measuring variables) based on the Delphi method: In this stage based on the Delphi method and to obtain the opinions of experts about the effect of variables and indexes on national power a survey was prepared based on the chosen variables (150 remaining variables). The survey was a closed survey with a multiple answer score in which, each of the nine factors affecting national power were presented separately and the experts taking the survey were asked to choose from among the answers of: Very little, little, average, a lot and very much. In the distribution of the survey, many efforts were done so that there would be proportion between the types of questions of each factor with the expertise of the specialists. For example, only professors of political geography, political sciences and international relations answered questions related to political factors. Choosing superior variables by using the factor analysis method: Because of the extensive research and large number of variables and effective indexes on national power in the form of nine factors and because of the positive usage of the experts suggestions who answered this survey, we used the Factor Analysis method to categorize and choose superior variables. In this method, the relations between a large numbers of variables are measured by a few random, unobservable qualities which are called factors and also Co-Variance (Johnson, 1999). From among 150 variables, 87 variables were chosen based on data obtained from the Factor Analysis method in which they had the most effect on national power. The 87 variables were considered as the final variables used in the national power measurement model. Designing the first model based on the matrix method: The chosen variables (by the Factor analysis method), were the foundations for designing the national power measurement model. The way to measure national power was by using the matrix method. 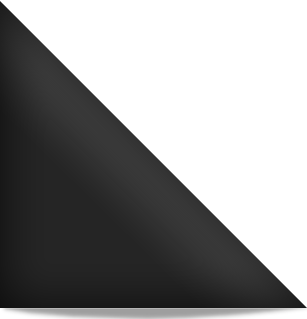 In this method, two-dimensional charts were used. In one dimension were the names of the countries and in the other charts containing names of indexes and variables. Then, related amounts were placed in the chart and finally the numbers were added to each other by algebra method and the amount of national power for each state was determined (Hafeznia, 2006). Entering gathered data of states in the matrix chart: The gathered data about 140 countries or states and 87 variables was entered in the matrix. The information about 140 countries was placed in the rows and the information related to the 87 variables in the columns. In order to calculate the countries` scores, faster and more precisely, the matrix was drawn in a computer by using the Excel software and the information about variables and countries was placed in nine separate boxes in the matrix. About the 87 variables and 140 countries, a chart with 12000 boxes was created and 12000 data was recorded in it. Changing variable amounts to scores: One of the most important and at the same time most difficult stages in designing the national power measurement model, was the proportioning and in other words standardizing of scoring methods to variables and indexes. Because the components and variables were various and were placed in different fields and areas, accessing the quantitative counter balancing pattern and determining the amounts and quantitative co-efficient for them was very hard. Measuring all the power which is a product of all factors and various variables is in need of changing each of the variables to equal sizes and amounts so that there will be a chance for their integration (Hafeznia, 2006). If by any chance there is a small mistake in this stage, it can cause an unrealistic calculation and illogical increase or decrease of the countries` scores and in the end can cause big problems in comparing the national power of countries. In order to give scores to the variables and indexes, in this research the four different methods below were used. The method of proportional percentage: In this method, the score of each country is based on its share in the overall amount of variables. For example: Total Nano-technological papers of the world published in the journals with ISI index at 2005 have been: 41665 and the number of such paper for Iran have been: 53, so the Proportional percentage of Iran has been equal to: 0.127. Intentional method: In this method, which is about different variables and the average of that variable, a number is considered as the base and than the obtained number of countries about each variable is measured based on that. For example, about the per capita income of the countries, for every $1000 of per capita income a positive score is considered and then the per capita income of countries is scored based on that. Using the indexes own numbers as a score: The fourth method is usually used with indexes which have been used in the model. Because indexes like human development index or digital availability index are the achievements gained by experts throughout the years, therefore it seems as if it is better that each country`s number about each index, be considered as that country`s score for that index. For example, the number related to Iran about human development index is 0.732; so in this method 0.732 is considered as the score for Iran. Designing a new matrix based on variable scores: After the amounts relating to variables and indexes are changed to scores by using the four previous methods, a new matrix is designed where scores of variables replace numbers of variables. Like the previous chart, this chart is also drawn in the computer by using the Excel software and the scores of 140 countries about 87 variables are recorded in it. Economical factor score = gross national production score + the score of attracting foreign investment + score of all financial sources B score of negative trade rate and Y. Calculating the nine factor scores and determining the national power of states: After determining the score of each country about each of the nine factors, the total score of countries in the nine factors is calculated, based on the simple lineal model below which is based on the algebraic addition of the nine factors (Table 3). Therefore, the number obtained by adding the nine factors shows the amount of the national power of countries. Based on this number we can construct a power structure for the world and compare the national power of countries in each of the factors separately or based on the total score of the nine factors (national power). Here, the study`s results are measured based on the national power measurement model about each factor. 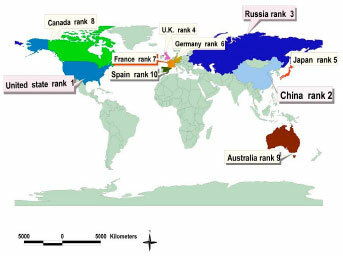 Based on the obtained scores in Scientific and Technological factor as has been shown in the Table 4: United States of America (USA) has the number one rank in the world with a score of 100 and the next ranks, respectively are: Japan, Germany, United Kingdom, China, France, Russia, Canada, South Korea and Belgium. Like most of the factors the difference between the countries in first and second ranks are a lot and approximately 2 times more. In the economical factor as has been shown in Table 5, the USA has the highest score (100) and China, Japan, Germany, England, Canada, France, Australia, Russia and Italy are the next top countries ranking 2 to 10. Ranking the power of countries based on the social factor: The social factor consists of 11 variables, which have been chosen from among 23 variables by using the Factor Analysis method. In the social factor as has been shown in Table 6, USA with 100 score has the first rank and the next ranks, respectively are: China, Germany, Italy, UK, Japan, Spain, Canada, Belgium and Australia. In the territorial factor as has been shown in Table 7, the US stands in the highest position with a score of 100 Countries like Russia, Canada, Australia, china, Brazil, Kazakhstan, India, Norway and Iran are the countries ranking two to nine. As has been shown in Table 8, in the cultural factor ranking the powers is in such a way that the US stands at the highest position with a score of 100 and countries like UK, France, Spain, Japan, Germany, Italy, China, Russia and Sweden are the next top ten countries. The score difference between the first country and the next top ten countries is very little. In the political factor as has been shown in Table 9: Finland is in the first position with a score of 100 and Denmark, Sweden, Norway, Switzerland, Netherlands, Australia, Austria, New Zealand and England are, respectively in the next ten positions. As it is shown in Table 10, in this factor, the US stands in the first position with a score of 100 and China, France, UK, Russia, Germany, Japan, Canada, Italy and Spain stand, respectively in the positions ranking 2 to 10. Ranking the power of countries based on the astro-space factor: In general, the Astro-space factor has 4 variables. In the Astro-space factor, only 39 countries have the capability and the other countries have not scored any point in this factor. Among these 39 countries as it has been shown in Table 11, United State has the highest rank with a score of 100. After USA, Russia (33), Japan (10), China (10), France (5), UK (4), India (4), Canada (4), Brazil (2) and Germany (2) stand in the next positions. The number of satellites that the US has is two times as much as all the satellites of the other countries put together. The US has 423 satellites while the other nine countries have 242 satellites put together. According to this factor as has been shown in Table 12, USA has the first position in the world. In the next position, respectively are: Russia, China, UK, France, Germany, India, Turkey, Japan and South Korea. After the countries` scores were determined about the nine factors, with algebraic method, the scores of the nine factors are considered as the final scores of states which show the national power of the countries. According to these outcomes a global geo-political structure can be drawn. In addition, the geopolitical structure can be drawn in each of the geographical regions. Drawing the global and Territorial power structure can be based on one or a few factors. For example, based on the economical index, we can recognize the superior economical powers in the world. In addition, we can rank the geo-political effect of the states in the world or in the regions. According to this method and as has been shown in Fig. 3 and 4 the first power of the world for the year 2005, is United State with 882 scores, the next nine position of the global power, respectively belong to: China (462), Russia (458), United, Kingdom (440), Japan (424), Germany (402), France (391), Canada (366), Australia (324) and Spain (319). As it has been said, after determining the countries scores in the factors, a global power structure can be drawn out. Based on this, as shown in Fig. 4, the power level of countries is determined and based on that the global geo-political structure is drawn. It must be said that the power levels are done in two ways: Polar (with a vertical structure) and systematically. In this research the power levels are determined and based on the countries scores (500 to 1000, 400 to 500 and ...), the global power structure can be drawn out. First level : With ranging scores of 500-1000. Only USA with 882 scores is the first global power. Second level : With ranging scores of 400-500 including: Russia, China, UK, Japan, Germany and France. • The possibility of comparing country`s power in the geographical regions and drawing a regional geopolitical structure and evaluate the position and situation of the states in the regional power systems. The authors would like to express their thanks to Tarbiat Modares University for financial support from the research project. Aazami, H., 2005. System of power in the Africa. Ph.D Thesis, Political Geography, Tarbiat Modares University, Iran. Anonymous, 2005. Human Development Report. Published for the United Nations Development Programme (UNDP) 1 UN Plaza. New York, 10017, USA. Barry, T., 2003. The Statesman Yearbook. Palgrave, New York. Goldstein, S.J., 1999. International Relations. Longman, New York. Gregory, F., T. Seth and G. Jones, 2004. Measuring National Power Rand Corporation. New York. Hafeznia, M., 2006. Principles and Concepts of Geopolitics. Papoli Press, Mashhad, Iran. Jeffrey, H., 1976. Three approaches to the measurement of power in International relation. Int. Org., 30: 289-305. Johnson, R., 1999. Data Analyzing Multi Variables. Translate Nyromand H, Mashed, Ferdosi University Press. Kadera, M.K., 2004. Measuring National Power, International Interactions. Taylor and Francis. Negahban, 2003. A Methods of Data Analyzing Using SPSS. Gahad of University, Iran. Prescott, J.V.R., 1972. Political Geography. London. Richard, M., 1975. Modern Political Geography. Mac Millan Education: London and Hong Kong. Saul, C., 1994. Geopolitics in the New World Era, in Reordering in the World. West View Press, USA. Taylor, P., 1993. Political Geography. Longman Scientific and Technical, UK. Tellis, A.J., J. Bially, C. Layne and McPherson, 2000. Measuring national power in the postindustrial age. Rond, New York. Zarghani, H., 2007. The evaluation of the variables effective on national power and designing of the model for measurement of national power of countries. Ph.D. Thesis, Political Geography, Tarbiat Modares University, Iran.